“B I Sunday” the painting of, was an 18 month grand adventure; my profound thanks to the many friends who helped research and make this possible. 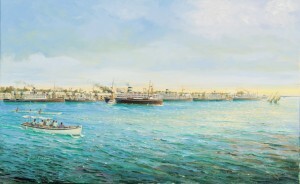 Oils on canvas, measures a healthy 76 x 121 cm (30″ x 48″), commissioned for J. Leeson & Son. 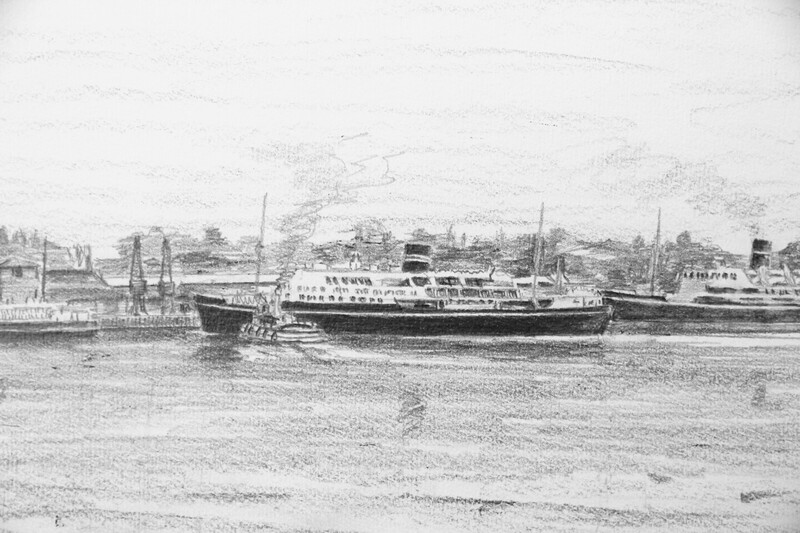 Modasa, Mombasa, Kenya, Karanja, Mantola (with Tabora alongside), Kampala, Sofala not shown was on African Marine’s slip. ‘Sofala’, original drawing used with the remarque on the prints, available, £80. Part of my challenge included how to make this visually ‘interesting’ and an authentic historical document too. 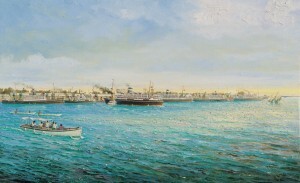 Together we have created a memorable scene, “Kenya, B I Sunday“, being a probably unique occasion when all the berths were take by ships of the same company, at that time the largest shipping company in the world. We felt this was worth recording for others to share and a way of speaking to the present and future generations, of their heritage. It was with much regret I packed this painting ready for shipment to England and eventually its new home. 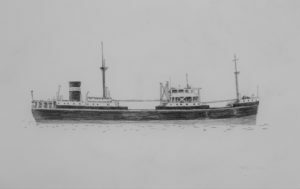 The British India SNCo operated many similar ships, two ‘M’ class and two ‘K’ class appear in this painting. B I ships were popular, loved locally, good signs for any business. 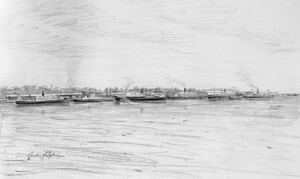 B I was at one time the largest merchant fleet in the world, with an excellent safety record so it is fair to conclude the design must have worked well for the region in which the ship was employed. So far and without a single exception, everyone I’ve met who worked for or travelled with B I remembers the company with great affection, including Sir Robin Knox-Johnston who started his illustrious career as an officer cadet with B I. 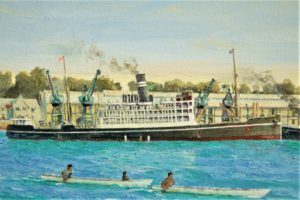 The British India Steam Navigation Company founded by two enterprising Scots, if I remember correctly in 1858, certainly a company to be proud of. British India Sunday, The story of new marine painting in the making. Bit of a giggle to share with you, a comment received today (16.08.2016) via email from a happy client for whom I’ve just completed “B I Sunday”. It may be easier than you think, talking is free and fun, contact us. 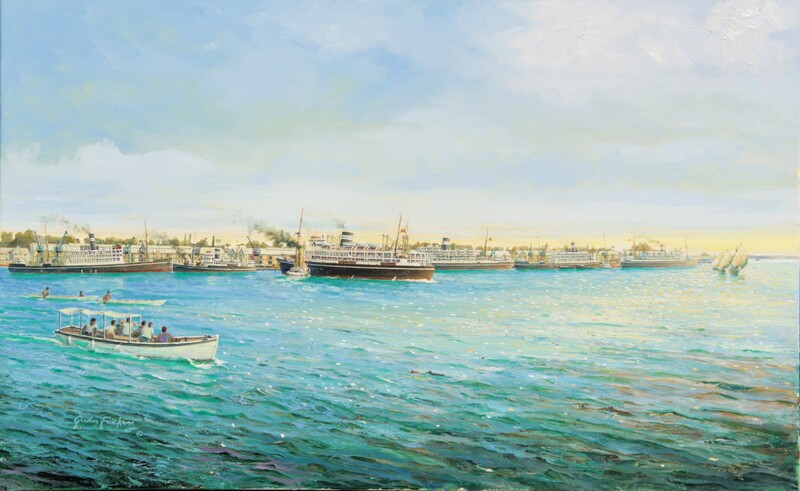 Although this study lacks colour which is critical to the composition however it is in the correct proportions, the ships are correctly scaled for the perspective, for the proposed 76 x 121 cms, 48″ x 30″ canvas. 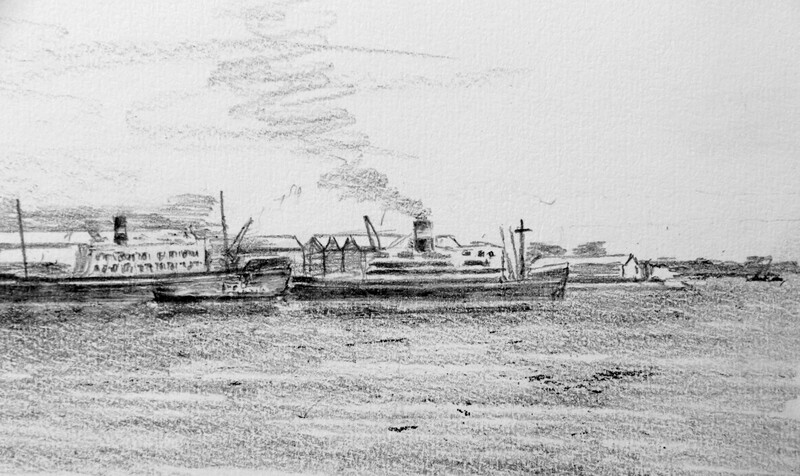 I have reluctantly omitted any small craft, local traffic, dhows, shown in an earlier less developed sketch B I S 8 B except one small detail; the island car ferry (far right). 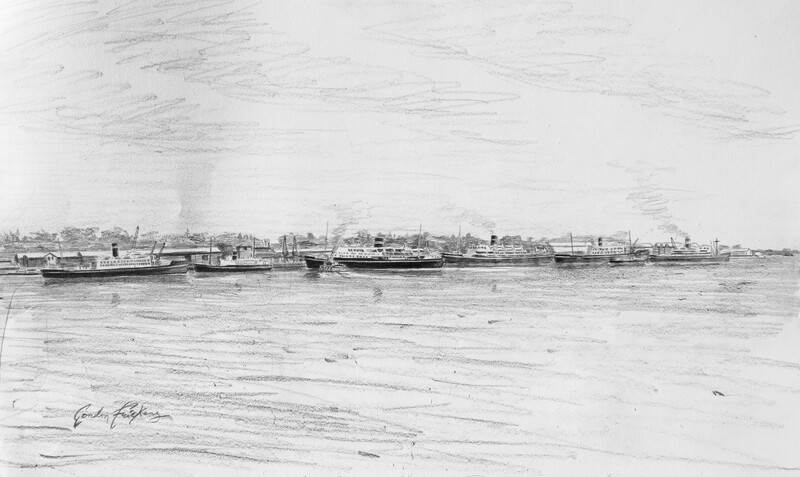 This in part because of the considerable time taken to get the complex composition to this stage. With no photograph showing this exact scene involving eight ships, lighting, where would the sun have been, time of day etc and the shore side facilities, number and types of cranes, warehouses etc all had to be carefully checked for position and appearance. 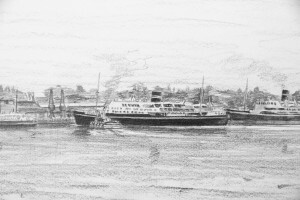 There are a variety of local vessels and such like, including yachts from the local club which I propose to add to the final painting. 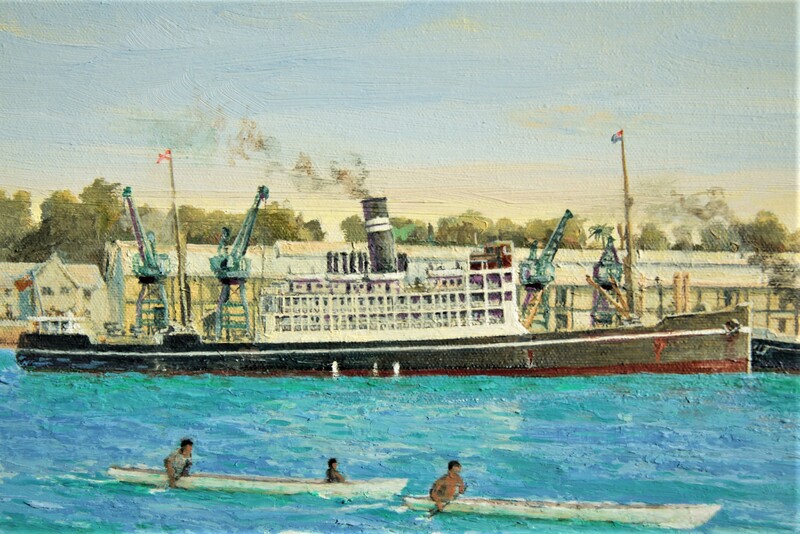 This commemorates a unique event when all the wharves at Mombasa, Kenya were all occupied by ships of the same company, the formally much admired and loved British India Steam Navigation Company. In those days star date 16 September 1951, Britain still had a significant merchant ship fleet. 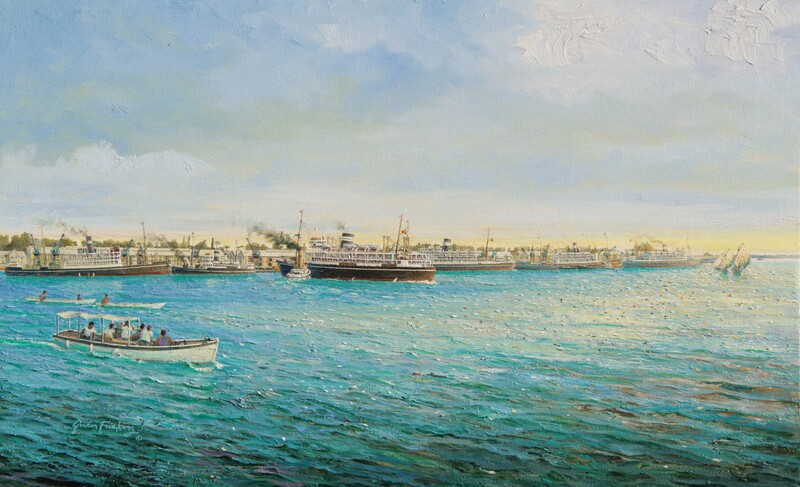 This painting is a proud tribute to B I and the merchant navy in general, this marine painting reminds us there was a time when 90 % of the world merchant fleet flew ‘The Red Duster’, enterprising Britons owned and operated 90 % of the world’s shipping (around the years 1900 to 1914). Two devastating wars and worse, since 1950 the failure of all British governments to support the industry when it was challenged by heavily subsidized over seas competition has seen the demise of this great source of national wealth, British shipping, now a shadow of it’s former self. In recent decades successive governments despite many warnings have persistently neglected the interests of both our Merchant fleet and the Royal Navy. As a result Britons are almost entirely dependent for vital supplies and defence on foreign ship owners. You can purchase securely via our ‘Payments Page‘ using Paypal or bank to bank. We give you an unrivaled guarantee. B I Sunday, another perspective. I replied “Chris Fagg, If I remember correctly, Abdul Rahim Abubakar will know for certain, he’s not a kid. He’s a little buoy used for securing the canoes. Not paddling because he is a prince of the sea going tribe of Glugglugooh, you must of heard of them? They are well known around Mombassa. Part French, His name is Foo Ar d’Lookout”. 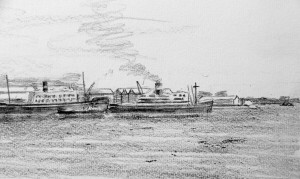 BI SUNDAY – 16th SEPTEMBER 1951. Working in partnership with GF on an earlier commission, the subject of BI Sunday was raised. Placed on the back burner at the time, we both felt it would make for a great challenge, enhancing this historic event by hopefully creating an outstanding painting. BI Sunday was a day of circumstance unplanned unscheduled. The departure of a Holland Africa Ship “Bloemfontein”( Not to be confused with the Union Castle ship “Bloemfontein Castle”) earlier in the day gave way for a further BI Ship to berth in Kilindini Harbour. This ensured that every commercial berth in Mombasa, including the dry dock slip was then occupied by the ships of one company. 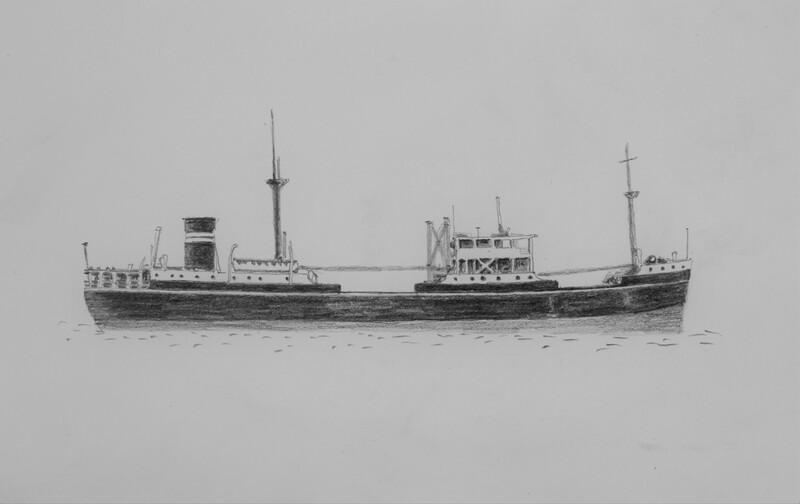 British India Steam Navigation Co. The day quickly became known as BI Sunday. Despite over 40 years experience within the maritime industry I am unaware of any other similar occasion involving any other Ship Owning Company. It is not beyond the bounds of possibility in the 1960’s BI’s presence was again noticeable in Mombasa. Documented evidence refers only to Sunday 16th September 1951, a feat in its own right worthy of recording in memory of a great company much loved and respected. The event clearly showed the diversity of the ships managed and owed by this company B.I. From the small lighter TABORA to their flag ship KENYA on her maiden voyage. Had all eight ships been in Mombasa a month or two earlier this picture could so easily have shown a BI tug in service THIKA working barges up and down the coast. 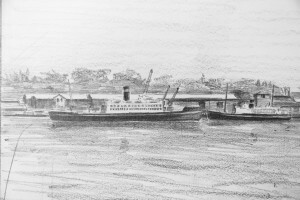 She was sold in August 1951. Referring to sister ships, I would like to share an amusing tale ensuring that the navigational officers on board KARANJA” and KAMPALA were kept alert. Both ships a day or two off Seychelles would try and reduce the amount of smoke blowing and then attempt to spot the other ship before they were seen. Whether any money exchanged hands I am unsure, but perhaps the odd beer was bought in the bars of such ports as Mombasa. P + O archives (The company that fully absorbed BI into its group in ……..) suggests the arrival of KENYA on her maiden voyage completed the line up. A BI junior serving engineer officer on “Mombasa” did make comment that perhaps MOMBASA was the later arrival. Research has been unable to verify fully either interpretation. BI Sunday reflects a time in our maritime industry when officers were highly trained skilled, and much respected. No computerised charts, Celestial navigation was compulsory (unlike today when a second officer serving on a passenger ship only last year commented thankfully we do not have to study navigation by the stairs, this involves complicated calculations!). Communications of the day ensuring that decisions had to be taken on the spot, and not pending an answer on email from Head Office. MOMBASA entering Kilindini harbour experienced a breakdown of the steering gear motor on the hydraulic system. Mr Roberston further commented of that day. The channel leading into Kilindini was fairly narrow and hazardous and we narrowly added more excitement to BI Sunday. 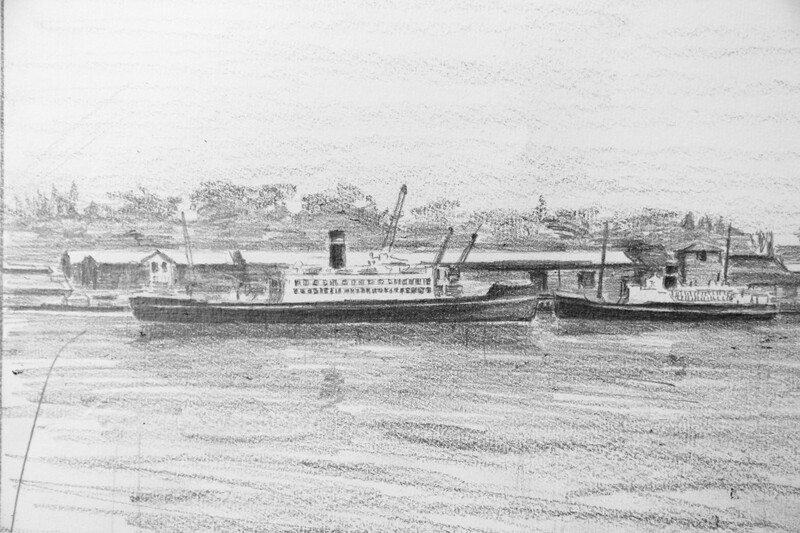 We did not require a Pilot for arriving in port, our Captain Cunningham’s vast experience as a seaman came to our rescue when he steered the ship by the main engines. Although this caused us Engineers a hectic job of manoeuvring the engines, he brought us alongside the pier without even a slight bump. I would like to think that between Mr Frickers the BI officers who can still recall the day and myself we have created a picture that will be remembered for many years as the company BI that once was.